The leader in private aviation, Gulfstream, excels at private aviation design, with their extensive research and development division and manufacturing department producing the fastest long-distance planes. 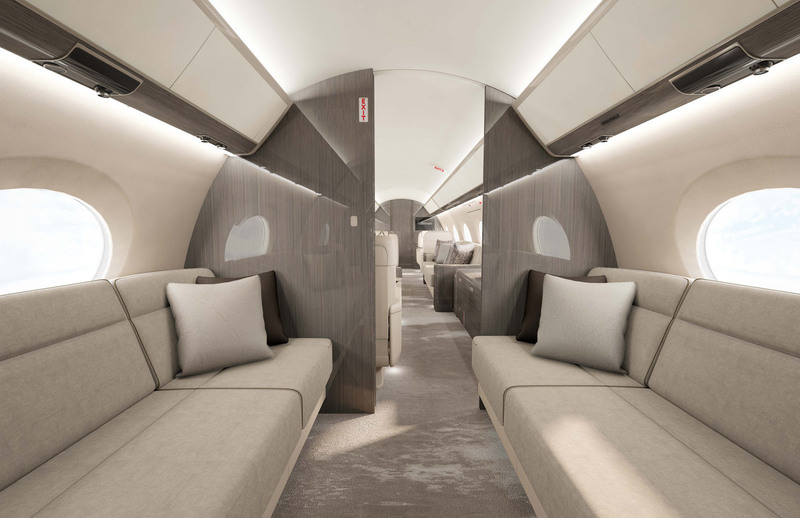 The company has two new jets in development for release in 2018 and 2019, and Cool Hunting took a Gulfstream G550 down to their headquarters in Savannah, Georgia; first, to experience the flight and second, to learn about their plentiful interior design options. It makes sense that planes best-known for their refined flying experiences would dedicate just as much thought to its visual appeal. 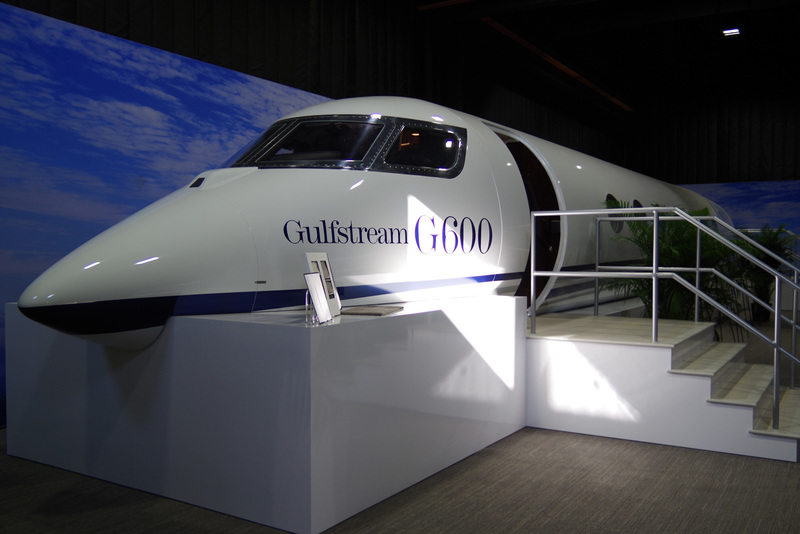 Following a smooth, hassle-free flight, we landed directly at the door of Gulfstream’s headquarters and stepped into their customization center. It’s a wondrous showroom of fabrics, veneers, homewares and accessories. And, while there are countless options in the room, it’s merely a gateway. If something within piques an interest, similar items are drawn from a back storage space. A consumer has the option to affect every detail, but as Tray Crow, Gulfstream’s Director of Design explains, “Dealing with a tube shape is not the same as a building.” Here, sidewalls, chairs and veneers matter most, as they occupy so much of the visual language—and convey the most about space. Everything else comes down to personal preference. While color options abound for the walls, veneers play an interesting role. 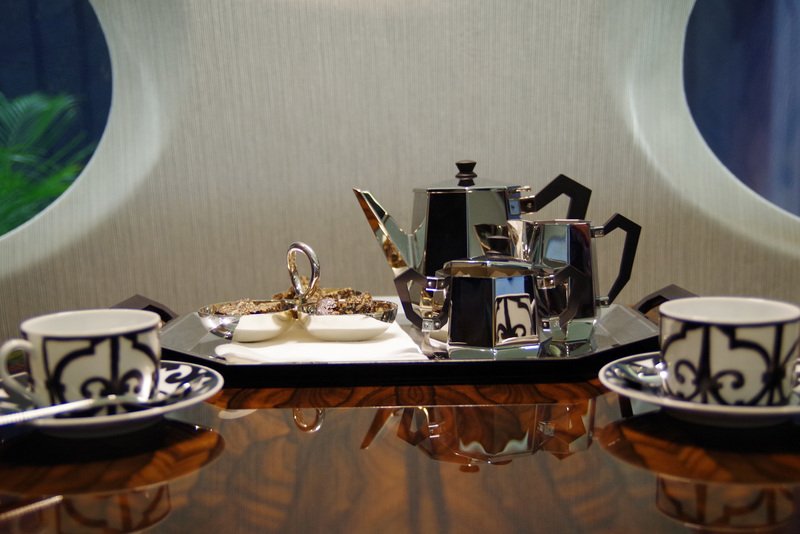 These accent details and table tops are in actuality thin slivers of real wood, drawn from 100 logs kept on site. They are cut so slim that there is almost unnoticeable variation between sheets drawn from a certain range. Rare woods accompany more common woods, and classics are shown along with statement pieces. All veneer cutting and finishing is done on site. 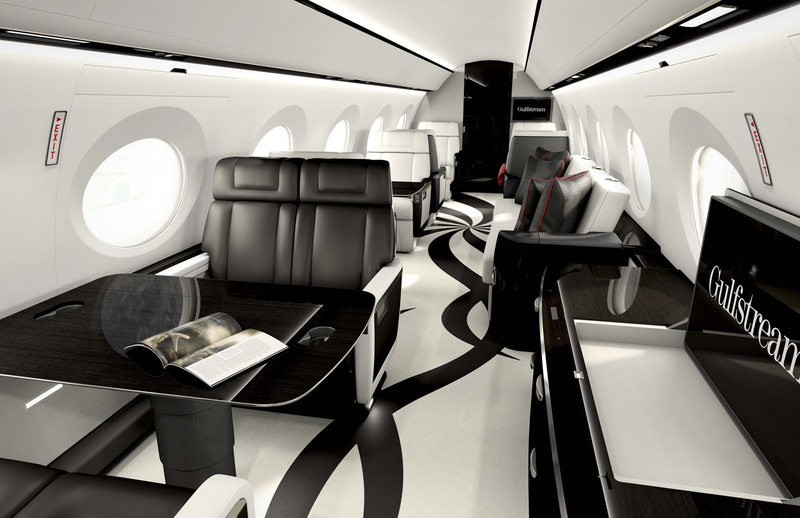 In fact, all of the jets’ finishing is handled on site, down to the placement of carpets (customized, or from likes of Tai Ping) and wares (with Hermes, Lalique, Baccarat and Christofle as popular options). Details down to the stitches are all conceived in advance, so that customers (utilizing a 3D-viewing app) can see if their desires work well together. In touring their manufacturing center, we learned that in a way the production of chairs acts as a microcosm for the rest of the plane. Organized piles of custom-dyed premium leather get machined to maximize all portions (leather scraps are then donated to become soccer balls). Aside from that instance of machining, everything else is done by hand. More fascinating, however, is the variation in chair thickness. Foam options with various thicknesses, are sliced and assembled to a customer’s desired firmness. If a chair feels too firm, the team will replace portions of the foam with softer version, binding them together. The leather is then added, and options for seam placement, flourishes and padding take distinct visions further. 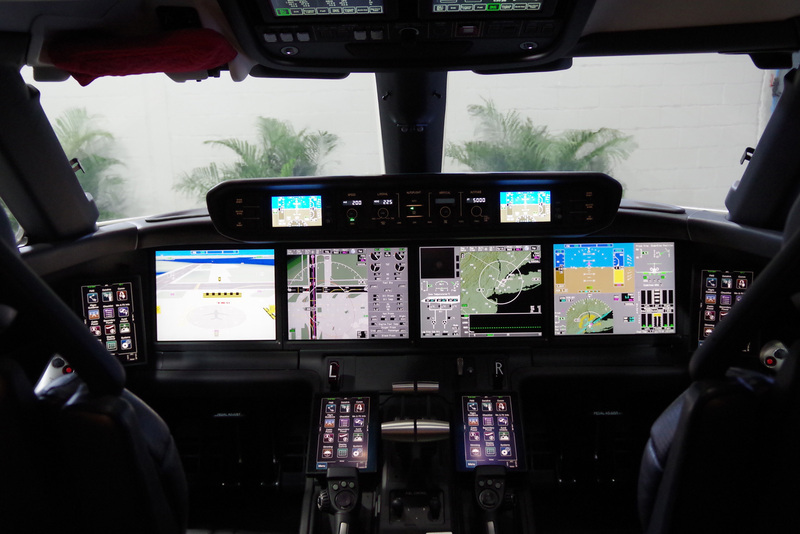 On a nearby Gulfstream campus, not far from where we landed, a mock-up for 2019’s G600 interior represents a finalized spatial layout and how it feels when design decisions have been completed. The G600 and G500 are being released for one reason: both will travel exceptionally fast, but neither will go as far the the G550 and G650. As Gulfstream explains, you can only push the bar on travel distances so far, before you’re simply circumnavigating the globe. The R&D department has turned its attention, instead, to environmental friendliness, maximizing internal fresh air circulation and controlling sound levels (something they do by reverse engineering submarine technology). Perhaps most interesting of all, they’re also planning on incorporating touchscreen tablets in the cockpit—with haptic feedback, something pilots have requested during trial runs.